Find below the list of top CISCE / ICSE schools in Isanpur - Ahmedabad with phone number, address, 360° School tours, 2018-19 Admission forms & Fees, photos, facilities & more. You may also be interested in other schools of Ahmedabad. Nelson's International School is one of the prime educational institutions in the Nelson's Group of Schools (Ahmedabad), Nelson's International School aims to provide an invaluable, welcoming, enjoyable yet sufficiently challenging international education experience for all our students. Seventh-Day Adventist Higher Secondary School, Maninagar, Ahmedabad for boys and girls is part of the worldwide Seventh-Day Adventist organization having its headquarters in Silverspring, Maryland, USA. It is managed by Ashlock Trust. The Seventh-day Adventist Church runs a large educational system throughout the world. Its educational system is the second-largest Christian school system in the world. Seventh-day Adventist educational system has 7,804 schools, colleges and universities, with 84,997 teachers and 1,673,828 students operating in over 100 countries around the world. 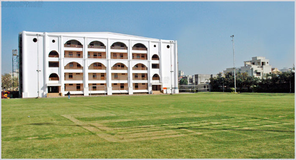 SDA School, Ahmedabad was established in June 1979. The school had a very humble beginning with few classrooms and had only 18 students on roll. With the committed efforts of staff and the administration, the school progressed in leaps and bounds. A time came when it was required to look for a larger premises and better school building. Under the dynamic leadership of Dr. G. Immanuel, the present new school building has been built at Haripura, Maninagar, Ahmedabad. We have entered the portals of new school building on June 9, 2003. The building is aesthetically designed and attracts everyone who enters the gates. Since then the enrollment has been increasing steadily. The present strength of the school is about 10,000 with 375 staff and faculty. This school is a minority institution. It is a Nursery to class XII, co-educational, English Medium day school devoted to the all round development of our students . 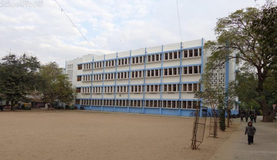 In order to accommodate the growing demand for admission into the school, another block of 5 storey building was built and the same was inaugurated in 2009. The hallmark of this institution is excellence. The School does not merely prepare the students for the Board examinations, but more importantly for life itself. The holistic education imparted helps people to live life gracefully and to help others live their life meaningfully. 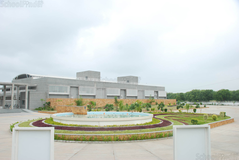 Zydus School for Excellence, Vejalpur campus was set up in 2003. 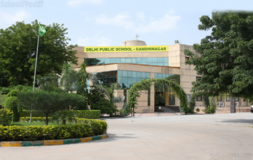 The school is affiliated to the ICSE Board, Delhi. The school campus is spread over 80,000 sq. feet. The stage and assembly area spread over 9000 sq. ft., also serve as the school auditorium. The School has been performing well academically consistently posting 100% pass results every year. Students have fared very well in the Board exams and the percentages were in the 85-95 % bracket. The school has had city toppers both in Class X and XII Board exams. The Central English School, Odhav, Ahmedabad is a member of National Foundation Education trust and affiliated by Central Board Of Secondary Education (CBSE), New Delhi (Affiliation No: 430025). The school is the first one to have this honour in the eastern part of Ahmedabad city. The trust started this school in 1995 and since then it has consistently given quality education aimed at the overall growth of every child. Kendriya Vidyalaya No. 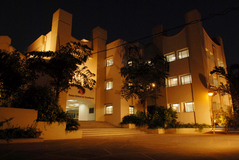 1 Shahibaug, Ahmedabad was founded in the year 1964. It is owned by the Kendriya Vidyalaya Sangathan (KVS) New Delhi, an autonomous body under the ministry of HRD, Govt. of India. The school is affiliated to CBSE, New Delhi and is miniature India in itself with students from different Socio-economic and cultural backgrounds. It inculcates among the students the feeling of brotherhood has been given the privilege of being one of the SMART Schools of India with enrolment of about 2000 students and a staff of 80 fulfilling the needs and striving for Excellency. Utthan Sewa Santhan-Anand Niketan Maninagar is located in Daskroi, Ahmedabad. It was established in 2009. This school follows the CBSE board. The school has English medium. 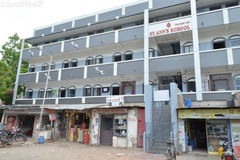 The School is situated to the east of Maninagar Railway Station.It is an English Medium Primary and Higher Secondary School, especially established for the benefit of residents of the East Maninagar area. 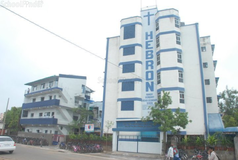 The School is managed by the Hebron Education Trust.The School was established in the year 1966 and has now Nursery, K G. and Standards I to XII. The School is conducted under the supervision of the management and the Principal and it aims at making your child earnest, industrious, unselfish, resourceful, God fearing, just and fair in every dealing, preserving the God given joy of a sinless heart to be shared with others. 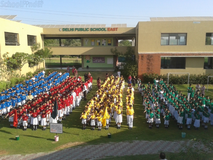 Karnavati Public School is a morning school. It primarily aims at offering to its students a safe, healthy, systematic and holistic environment which helps the students to achieve their utmost potential in all spheres of life by developing their intellectual, physical and emotional abilities and capabilities in order to acquire the right attitude, critical thinking and creative skills to face the challenges of a bigotry society and develop the perseverance to adapt to an ever-changing societal dynamics. Ahmedabad also known as Amdavad or Karnavati (historically), is one of the most reputed educational hubs of the country. This city is having the best schools in Ahmedabad. Being a chief hub of higher secondary schools, this city houses some of the top schools in Ahmedabad where quality education is given to the students with all pre-eminent facilities. Some of the best students of India are from the schools of Ahmedabad. Go through the list of best schools in Ahmedabad and the facilities it offers before you make the selection. Choosing the right school for a child is a daunting task. Making the job easier for you is Sqoolz. In order for your child to get admission to the best CISCE / ICSE schools in Isanpur - Ahmedabad you need to study and analyze the list of top CISCE / ICSE schools in Isanpur - Ahmedabad. With our detailed list of CISCE / ICSE schools in Isanpur - Ahmedabad, you can get all the information you need.